To think I made a perl program to do this just to find I can do it in DOS! 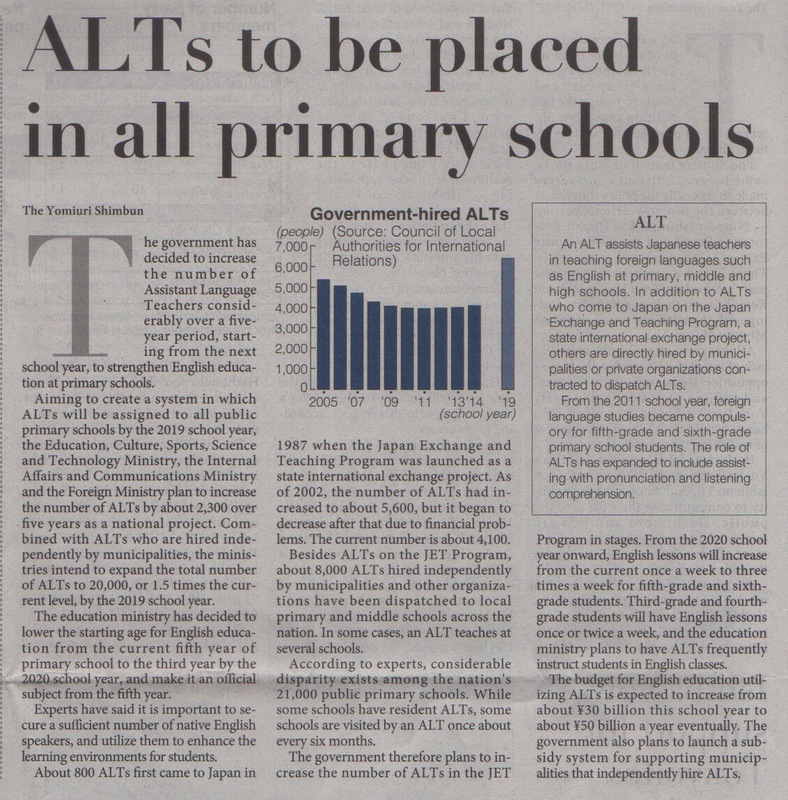 The Japanese government is planning to increase the number of Assistant Language Teachers (ALTs) to 20,000 by 2019. Although the acronym stands for any language by and large English is the only language that is taught in schools in Japan. Outsourcing has been the trend of late but this may mark the return of government-based selection as was the norm until the early 2000s. Source: today’s national English paper. What is the difference between an “app” and a “program”? Typically it is best to think programs and apps as the same thing with different names, just like cyclones, hurricanes and typhoons which technically these three storms are the same thing. So an app and program are just the same thing with different names. In common usage though you will never call a something running on iOS or Android a program, or something on Windows, Mac OS or Linux an app. These terms seem to reflect on the environment they run on. And they install differently. A program usually requires an installer and will install various files needed on the computer for it to work. An app on the other hand will usually be (or at least feel like) one file downloaded. It will have one icon. And deleting it will be just to tap on “the cross”. A program will include and require an uninstaller in order to get rid of the various files installed all over your hard disk. Programs in general are pretty messy looking things. One must also think of what usually becomes an app. For the most part we never install anything to do, for instance, Gmail on a computer. Add-ons to browsers may be the in-between case for some functionality, but we still use online email services through a browser. Whereas on an iPhone your email will be an app. In other words some things which are usually done on a browser on a computer will be done by an app in mobile devices. 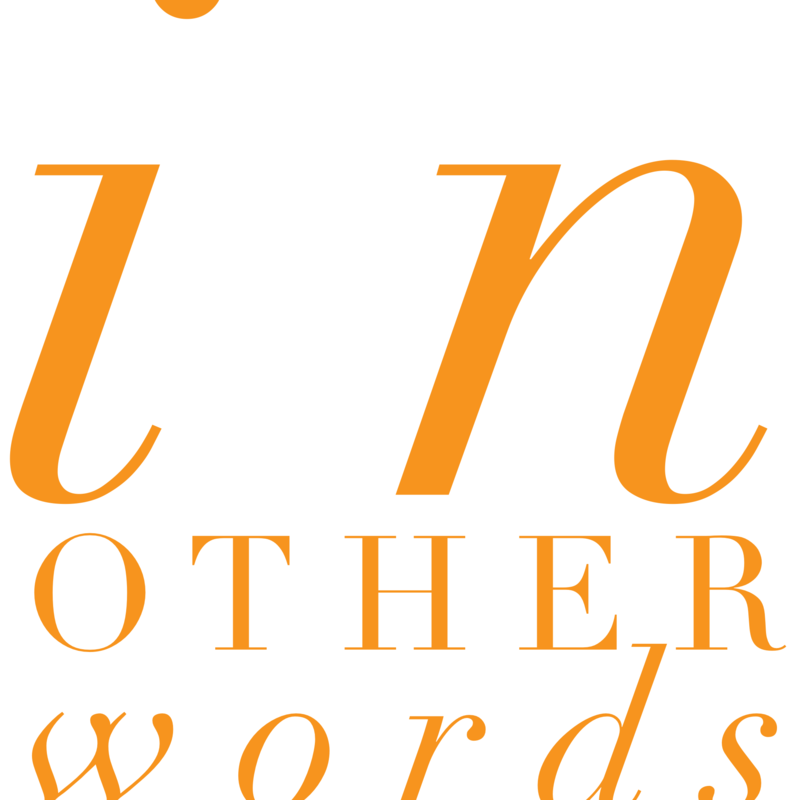 This app is great for text-oriented content blog posting. It directly links to WordPress, Tumblr, Evernote, Blogger and Scriptogr.am. You can also export as HTML and PDF to the Cloud, iTunes or share through various means in another app, Twitter or Facebook email and Message as well as copy as HTML. Byword also supports Markdown and allows you to preview it. Some more other important features include being able to post images to WordPress, sync through iCloud and TextExpander extensibility. Non-English external keyboards now work perfectly with Byword (tested with Japanese layout keyboard and iOS8). Byword is free but publishing cost 500 Yen (in-app purchase). Single purchase for all iOS devices. An ultra-wide iPad coming in 2014? I hear rumours that the iPad is getting larger with the next generation (October 2014?). If it is wide enough then I could probably use the touch screen keyboard in portrait and get a lot more viewing screen real estate. That could make the need for an external keyboard less likely. If the width is as wide as the iPad Air’s landscape width then that would be absolutely fantastic. Looking forward to the October announcement. There are two reasons why you would want to use UX Write over Apple Pages. The first is that UX Write supports the .docx format better than Pages. Secondly, UX Write is the only word processing app I am aware of that does auto-correct with an external keyboard. Even after the iOS8 update Pages does not do this although many important fixes (including better Japanese input in zoomed mode) have been made. These two reasons alone are enough for me to continue using UX Write in view that MS Word has not made it to the iPad here in Japan. And Microsoft’s Office Mobile, though not found directly in the App Store, is a poor replacement for MS Word as well as being quite unstable. But when most people and businesses still use MS Word for their word processing needs then I have no choice except to stick with anything which can do .docx. If being compatible with other people’s work is not an issue then my choices are open. Pages then would be a fair runner since it is a good app save the fact it doesn’t do auto-correct with an external keyboard. But when you need to exchange your work in a common format then the choices are narrow. I guess we’ll have to wait for iOS9 for that. Having said all this UX Write is such a good word processing app in itself. It is fun to use if word processors can be fun at all. As someone who loves to write I do think they are fun. And UX Write is one of these apps that make it enjoyable. Wireless JIS keyboard finally works properly with iOS8! I am happy to report that Apple finally got something right with iOS8. The JIS wireless keyboard problem I had been blogging about seems to have been fixed once and for all! all work perfectly with the wireless keyboard! If you haven’t update your iOS version yet I suggest you do so. The improvements are important. Why it has taken this long is anybody’s guess. There are two methods which work for printing .docx documents created in UX Write. Both methods work well with minimal style differences between the iOS and Windows printed versions. UX Write is an iOS app for really serious word processing. There are five big reasons why you want to use this for, say, writing a PhD thesis. Firstly, since February 2013 UX Write has been the best .docx supported app for the iOS. This means what you write in UX Write can be used directly in your Windows PC Microsoft Word program. Without exaggeration no other app can claim to support .docx this well. Secondly, Auto-correct works even with an external wireless keyboard. Even Apple’s own word processing app Pages cannot do this at the moment. For now most iOS apps used to an external keyboard just does not work with auto-correct even though the touchscreen keyboard does. Why Apple cannot make this work with external keyboards even after so many complaints is baffling. Thirdly, relating again to the keyboard is UX Write’s support for non-English layout keyboards [Update: all apps now work with JIS layout keyboards after the iOS8 update. I am not sure of other language layout keyboards but I presume Apple has fixed this problem across board.]. While Pages does support this it fails in autocorrection (effectively rendering keyboard input less useful). All word processing apps will connect to the keyboard but because of the lack of understanding of keyboard standards only a handful will actually recognise a non-English keyboard’s layout. UX Write is one of these. Fourthly, UX Write has a useful control system for the cursor to help accurately manipulate it. Even with external keyboard it can be brought up by summoning the touchscreen keyboard. And finally, UX Write syncs easily with cloud storage services like Dropbox smoothly. It even has a file manager like interface to help you navigate your storage’s directories. In turn you file is ready for use on your PC without any need to download or convert the file to .docx. This is very slick and boosts productivity on the iPad as well as across your devises and work environment. Because the app was produced from scratch many features were not just ports from established designs like Microsoft Word or Pages but were thought through for the iOS/iPad environment. It also demotes print layout in word processing to below content, a shrewd move in the flexible layout environment of today’s devices. By doing so it made making compatibility to Word and .docx possible thus bring together two systems which were once quite separate.